At the end of November, the Mittelstandskonferenz organized by the Federal Ministry of Education and Research (BMBF) on the “KMU-innovativ” funding priority took place in Berlin. Representatives of small and medium-sized enterprises from various areas of information- and communication technology were invited to discuss and network. ICCAS presented togehter with the partners the COMPASS project in the sector “Human-Technology Interaction”. In this project, research is being carried out to improve the OR navigation. 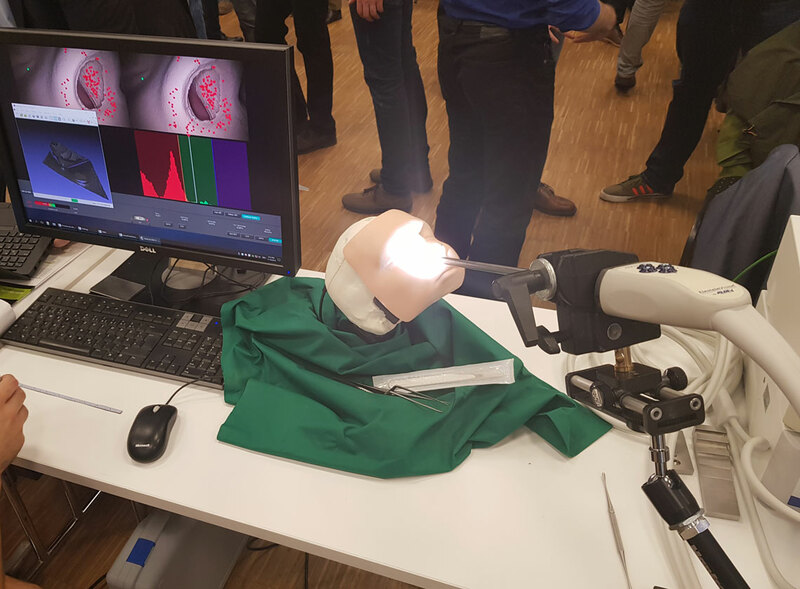 At the booth, an assistance system for stereo endoscopy in the ENT area was demonstrated.